Pete was born and grew up in Brixton but is in fact half Hungarian and half Scottish. After studying Sport Management at Brighton University, he started his working life in Insurance. Having got a taste for sales and feeling that it was time for a new challenge, Pete moved into estate agency as a Sales Negotiator in Streatham. 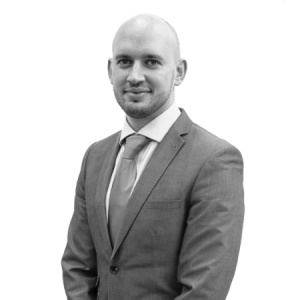 In February 2015, Pete joined the Beresford Residential's Brixton branch. "After three years in Brighton during my degree, I moved back to Brixton and started my career working for an insurance company in Bromley. I was there for four years in total, working as a sales consultant and then an internal auditor. During this time I got a real taste for sales and although I enjoyed the office atmosphere, I felt that I would like to interact with my clients more than just over the phone." Making the move into estate agency seemed like a natural progression for Pete and he took to it straight away. His in-depth knowledge of the local area extends far beyond just the street names or local landmarks and is a key strength that, coupled with his friendly, professional manner, helps him excel at his job. "I’ve always been interested in property and, having spent pretty much my whole life in Brixton, I knew that my knowledge of my hometown and the surrounding areas would aid me greatly. I really enjoy meeting new people and believe that it is important to listen to and understand what a client really wants even if this takes a little more time initially. This, in my opinion, not only leads to better customer service but also the best results for all parties." Pete proved to be a top performer in the Brixton branch as well as an excellent valuer and senior member of the team. In 2015, following the launch of the Camberwell Branch, Pete moved over as the Branch Manager and has been instrumental in the successful launch of the branch. In 2016 Pete completed the NFOPP Technical Award in Residential Letting and Property Management. "Pete is a valuable member of the team who has a great ability to match the right people to a property and consistently provides great advice and faultless customer service. His unparalleled knowledge of the area is a real asset and our clients genuinely value and trust his opinion and advice." "Pete Ranki was unbelievably helpful during our search for a property. I work 9-5 so couldn't take calls during my working hours, and while estate agents from other companies called consistently, Pete kept in contact via email after I asked him to. He found us a property that met all of our requests, in an amazing location, and was flexible with viewing times. He really helped us with the negotiations around price and move in dates, and overall the whole process ran very smoothly thanks to him. I'd highly recommend using Beresford Residential. Thank you so much Pete!" "Like most I am very sceptical about estate agents, so many bad ones out there, in fact most don't seem to even understand the concept of a budget and a specific area. This time though we lucked out. Pete Ranki at Beresford Residential has been genuine and true to his word. There was no messing around or hidden agenda. He listened to what we wanted and found it. Below budget and better than any properties we had seen before - unheard of in Brixton. He was down to earth, respectful and genuinely cared about us being happy. We will be using him again when we move."